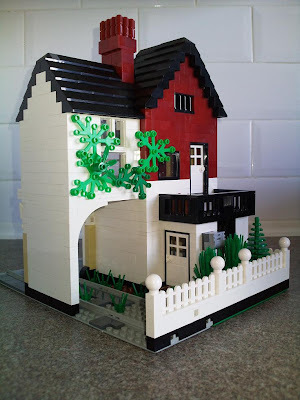 Brick Town Talk: One-a-week Challenge - LEGO Town, Architecture, Building Tips, Inspiration Ideas, and more! 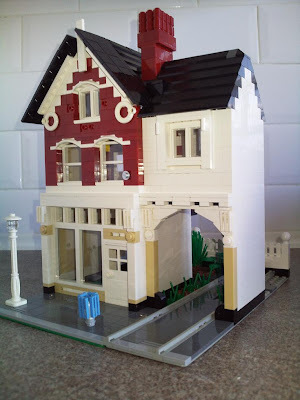 I have set myself the challenge to blog one of my own MOCs once a week. This is one I built today. Eagle-eyed readers might recognise the drawing from 2008... Only took 2 years to get round to it! 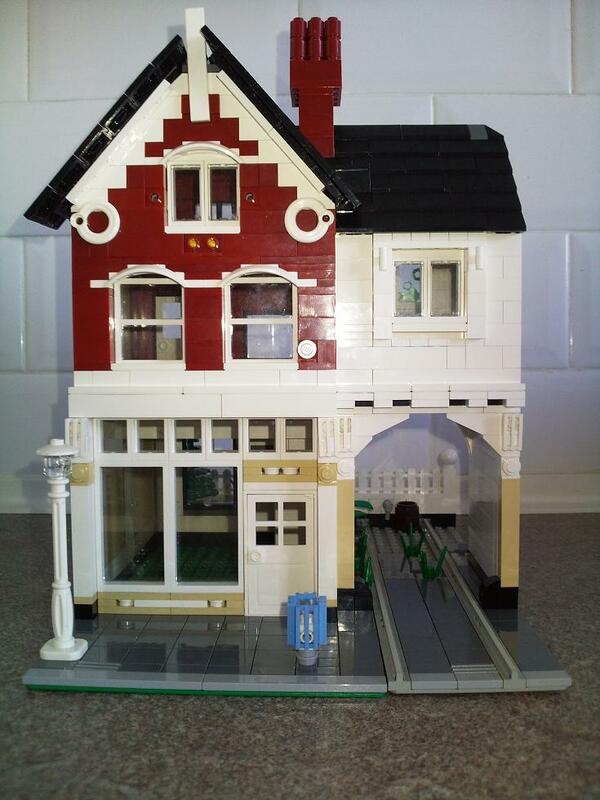 Its quite nice ... if you add an interior and tan garage doors, this would look great in any modular street! i think the toiletseat/rescue things are a bit too large. Still, it's a good built i think! Thank you for your messages. I have already thought about the roof - going to replace the white slopes with dk red ones - this should balance it out a bit. I decided not to have a garage door so that you could see through the arch. 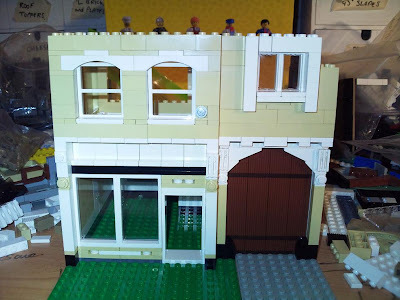 What do you think the shop should be for? (don't really want it to be an Orange shop). I've always liked legos.The challenge was so nice but the product of hard work was great.I like this. I would love to make my own house that is made up of lego.It would be nice to a model of my dream house.How I wish. That is a really nice building. Needs some minifigs though. You made this in 1 day? Awesome. You actually made a copy of the real shop. Thumbs up.